Need legal advice, support or guidance? Check out these helpful resources and services. LawAccess can help with a wide range of legal problems including going to court, crime, fines, traffic offences, debt, family law, domestic or family violence, neighbours, work, buying goods and services, motor vehicle accidents, and planning ahead. Find information on their website, or call them on 1300 888 529 between 9am to 5pm, Monday to Friday (excluding public holidays). Community legal centres (CLCs) are independently operating, not-for-profit community organisations that provide legal and related services to the public, focussing on the disadvantaged and people with special needs. Community legal centres provide referral, advice and assistance. Some CLCs provide assistance to people in their geographic area, while others provide state wide services on a particular area of law, eg tenancy, or credit and debt. The Community Legal Centres NSW Recommendation Service app will ask you a few questions to direct you to community legal centres that are suitable for your situation. Debt​ - Are you owed money or being chased for a debt? This topic has information for people dealing with debts. ​Fences - Do you have a dispute with your neighbour about a dividing fence? This topic has information about fencing and boundary disputes. ​Fines - Have you got a fine? This topic has information about dealing with fines, including how to challenge a fine in court. After someone dies - There are often many things to do after someone dies, including notifying people, making funeral arrangements and dealing with the deceased person’s property. Legal skills - This topic has information​ that may help you resolve your matter through negotiation or mediation, make a complaint, understand the legal system, the court process and how to prepare legal documents. Unpaid council rates - for people who are worried about paying their local council rates or have fallen behind with their rate payments. Mortgage stress - for people who are worried about paying their home loan or have fallen behind in their home loan repayments. 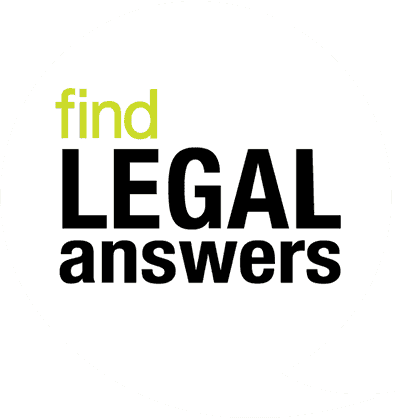 Legal Aid NSW helps people with their legal problems. Their legal services include legal advice, help at court and family dispute resolution. Legal Aid can help in most areas of criminal law, family law, and civil law. How can the Legal Aid NSW Refugee Service help me? The Aboriginal Legal Service is an Aboriginal community organisation giving information, referral, legal advice, and court representation to Aboriginal and Torres Strait Islander men, women and children across NSW and the ACT. ALS works in criminal law, children's care and protection law, and family law, and provides information and referral for civil law. They also assist with Work and Development Orders, and their Custody Notification Service provides early legal advice for Aboriginal people taken into police custody. Community Justice Centres (CJC) provide free mediation to help people solve disagreements or resolve disputes without going to court. The CJC service is confidential, easy to use and voluntary. There are no waiting lists and services are provided throughout NSW. The Children's Legal Service, Legal Aid NSW advises and represents children and young people under 18 involved in criminal cases and Apprehended Violence Order applications in the Children's Courts. They aim to ensure that children and young people have access to professional, face-to-face or telephone based legal advice at any stage of their legal proceedings. COTA NSW and Legal Aid NSW have formed the Legal Pathways partnership to provide assistance to older persons needing advice about a will, enduring power of attorney or enduring guardianship. People who receive an age pension or hold a Commonwealth Seniors Health Card are eligible to participate in the Legal Pathways project. The NSW Elder Abuse Helpline & Resource Unit is a free, confidential service that provides information, support and referrals relating to the abuse of older people living in the community across NSW. Individuals, concerned friends, family members, neighbours and support workers can call 1800 628 221 if they suspect elder abuse is occurring. Anyone can make the call. EDO NSW provides free initial legal advice on planning and environmental law matters. In very limited circumstances they may be able to provide more detailed advice and/or representation. Contact the Advice Line on 9262 6989 (if you're in Sydney) or 1800 626 239. The Financial Rights Legal Centre is a community legal centre specialising in financial services, particularly in relation to consumer credit, banking and debt recovery. You can call the National Debt Helpline on 1800 007 007. Gambling Help has information and resources about problem gambling, including videos, fact sheets, and sources of free face-to-face and online counselling services. Find information on their website, or call them any time (24 hours a day) on 1800 858 858. Lawmail is a legal service for Australian children and young people, providing legal information, advice and referrals by email. NSW Fair Trading safeguards the rights of consumers in NSW. You can contact them for assistance by phone, online or over the counter at Service NSW centres. The Seniors Rights Service is a community legal centre that protects the rights of older people. They provide telephone advice, advocacy, legal advice and educational services. You can contact an ombudsman if you wish to make a complaint or resolve a problem with a government agency. There are a number of ombudsman services available. The NSW Ombudsman is responsible for the independent oversight and scrutiny of government agencies and some non-government organisations that provide services to the people of NSW. The Commonwealth Ombudsman deals with complaints about Commonwealth Government departments and agencies. The Energy & Water Ombudsman NSW (EWON) provides a free, fair and independent dispute resolution service for all electricity and gas customers in NSW, and some water customers. The Australian Financial Complaints Authority (AFCA) is the dispute resolution scheme for financial services. They consider complaints about credit, finance and loans; insurance; banking deposits and payments; investments and financial advice; and superannuation. The Telecommunications Industry Ombudsman provides an independent dispute resolution service for customers who have a complaint about their telephone or internet service in Australia. Tenants NSW provides information, advice and advocacy for NSW residential tenants. Contact your local tenant advocate for advice. The Welfare Rights Centre is a community legal centre specialising in social security law. They can advise people about their social security rights, entitlements and obligations and assist people through the social security review and appeals system, including Centrelink internal review, the Social Security Appeals Tribunal and the Administrative Appeals Tribunal. Women’s Legal Service NSW (WLS NSW) is a community legal centre providing women with a range of free community legal services, including legal advice and information, education, training and resources across metropolitan and regional areas of New South Wales. WLS NSW provides a free service for all women in the community, particularly for those who are socially and economically disadvantaged. Women can obtain free legal advice over the phone by phoning the Women’s Legal Advice Line or one of their specialist telephone advice lines. The Hot Topics issue You and your lawyer provides information about the role of lawyers, practical information about how to work with a lawyer, lawyers duties, ethics, costs, and complaints. The Law Society of NSW provides information and referral services that help members of the public to identify qualified solicitors who offer legal services appropriate to their needs. Services provided by the Law Society include the Find a Lawyer search, the Solicitor Referral Service, and their Pro Bono Scheme. ​The Office of the Legal Services Commissioner (OLSC) is an independent statutory body that deals with complaints about lawyers. In addition to receiving complaints, the Legal Services Commissioner oversees the investigation of complaints, plays a major role in resolving consumer matters, and may take disciplinary action against a solicitor or barrister, or commence disciplinary proceedings in the NSW Civil and Administrative Tribunal (NCAT).